Have trouble separating work from pleasure? Then Mammoth Mountain has created just the place for you in their Main Lodge. It’s called Fort and it’s a co-working location (they’re so hot right now) that features all the amenities of a real office, but on the mountain just steps from the lifts. 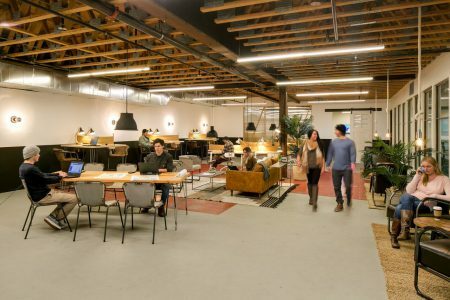 There’s gigabit internet, private desks and lounge seating, lockers and storage, and free parking all for $25 a day or $200 a month. In fact they’ve got another location in the Sierra Center Mall in town that features 3,700 square feet of work space and 24 hour access. Having an office in Mammoth has never been easier. Then again, neither has ruining a perfectly good day on the snow with a bunch of work. For all the details, click the link.